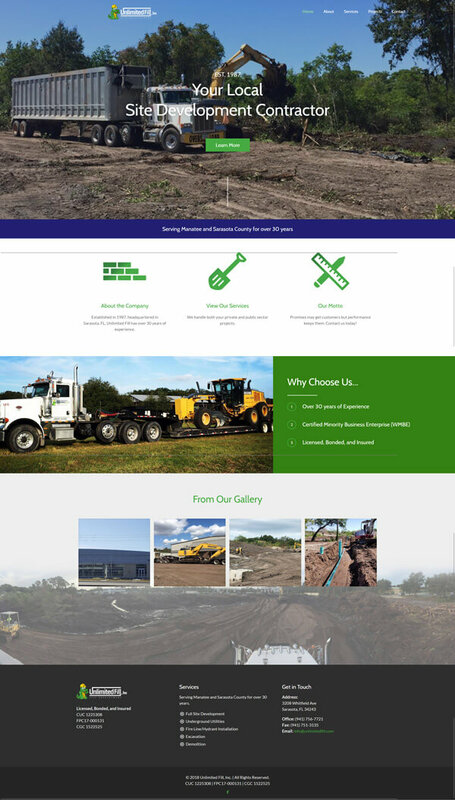 Unlimited Fill, Inc. has grown into one of the most well-known commercial site developers in Sarasota, FL. Over the last 30 years, the company has logged thousands of hours of experience working on various job sites alongside clients in order to fully understand objectives and meet timelines without compromising quality or safety. The site overhaul that was completed not only improves the user-experience aesthetically, but also supports lead conversions for enticing new business ventures.